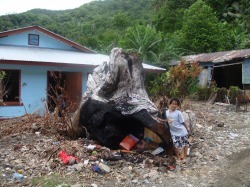 To alleviate a family's burden that has been placed on the family after a disaster. To aid victims at risk of being homeless are assisted with financial assistance to restore their lives, reconstruct their damaged home and or provide temporary shelter. Provides early relief and through needs assessments long term case management assistance to victims from a disaster. Helps meet the relief efforts needed for damaged recovery from a disaster. Assists with housing services by providing materials to reconstruct damaged homes and with appliances. Coordinate volunteers to help reconstruct homes. Organize & partner with other organizations to better reach out to clients.